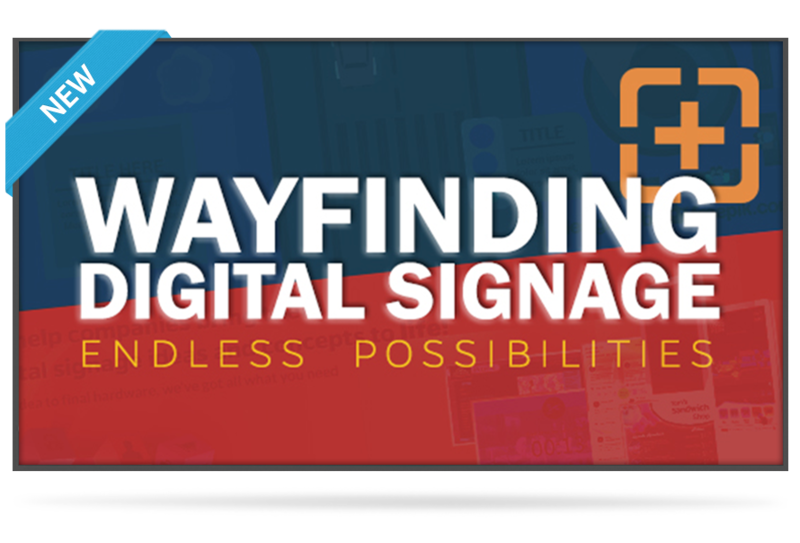 These are turnkey all-inclusive touch screen wayfinding digital signage solutions. No surprises. No recurring fees. When placing your order simply let us know what your objectives are and what features you need. 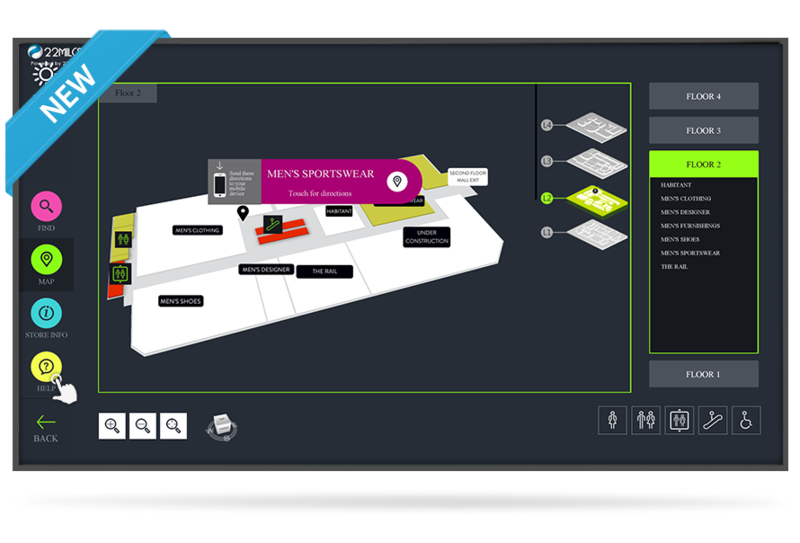 We will then custom create all content and graphics, build your wayfinding map, set-up the media player and software then ship you a ready to use total solution. Your directory, hospital map, clinic schedules, emergency alerts, insurance information, news, and more. 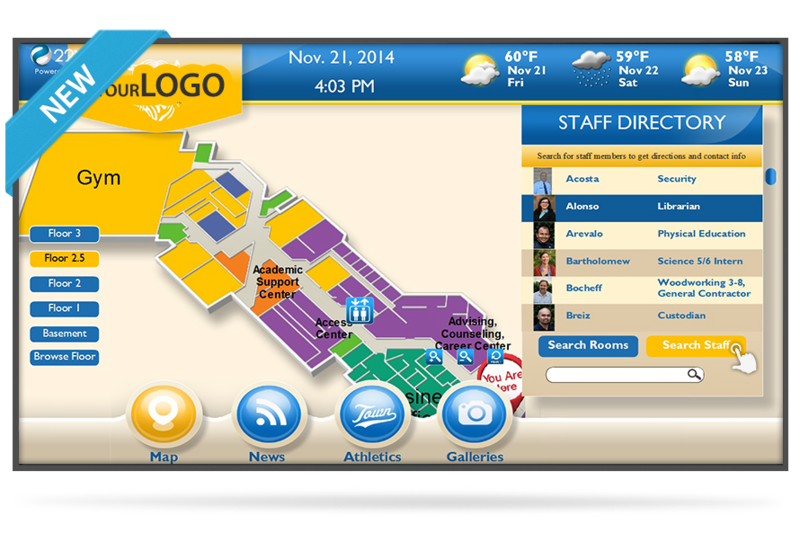 Multi building wayfinding, class schedules, alumni recognition, seminar times, searchable directory, and more. 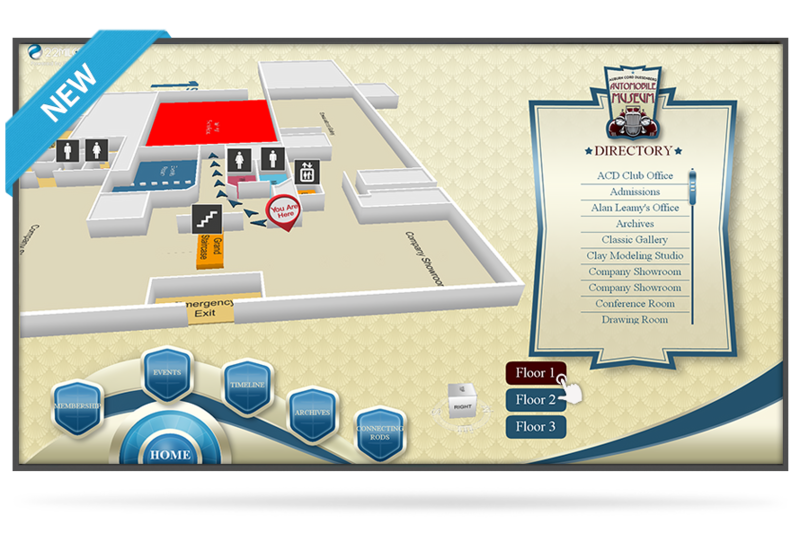 Your building map, directory, meetings and event calendar, news, HR bulletins, conference room availability, and more. 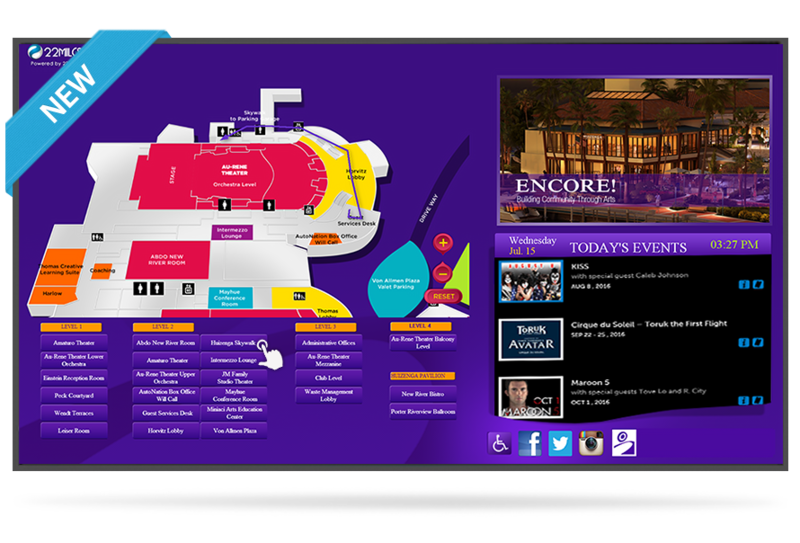 Directions to seating, upcoming event listing, searchable directory, concession stands, guest services, and more. 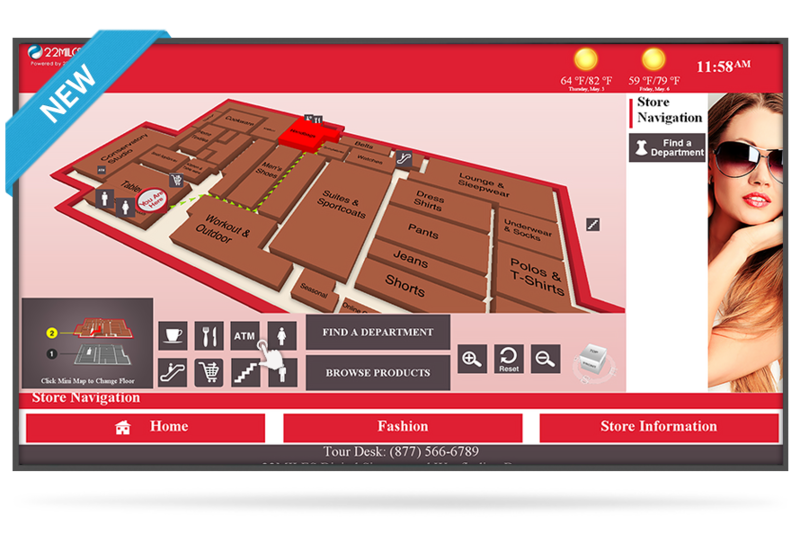 Guide patrons to specific stores, sales, food court menu, provide coupons, searchable directory, and more. 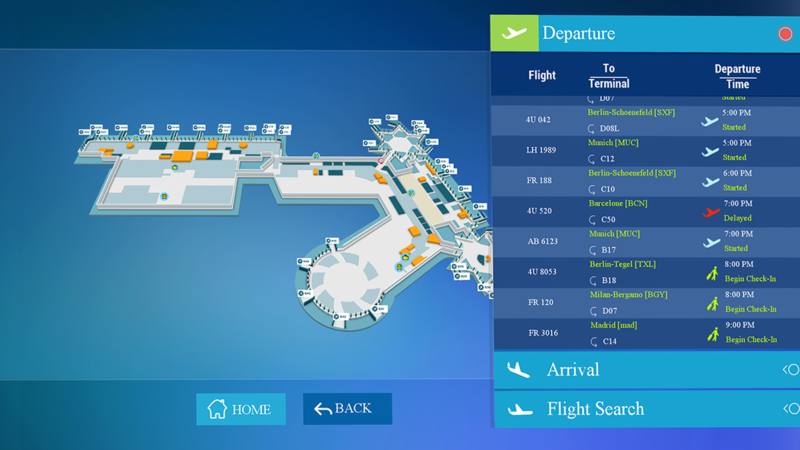 Turn by turn directions to specific products, aisles, departments or floors, promote sales, weekly ads, and more. 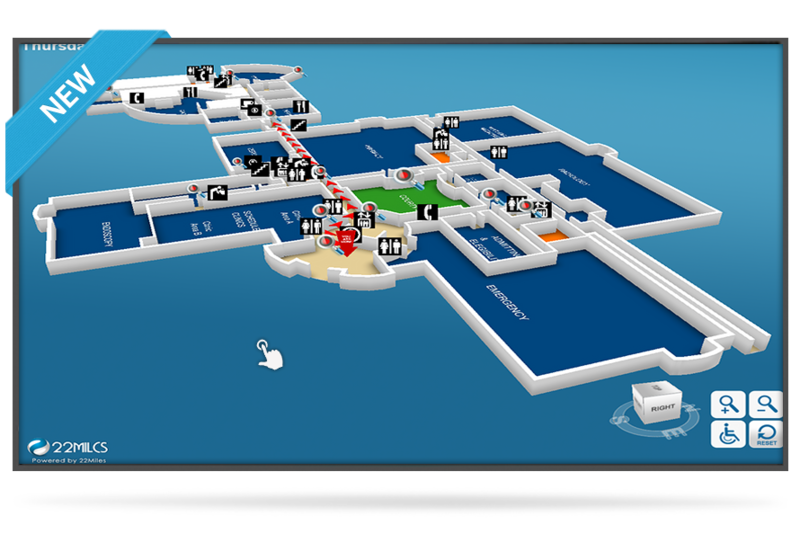 State-of-the-art custom digital signage wayfinding system, with 3D maps providing turn-by-turn directions, and more.